We partner with the best. We partner with the best. We specialize in working with the leading eCommerce platforms and tools to bring our clients the best solutions for driving growth in today's competitive landscape. 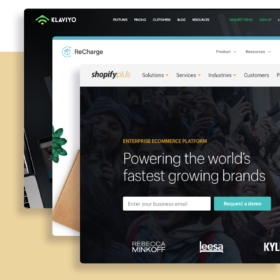 As a Shopify Plus partner, we build superior eCommerce websites on the world’s leading enterprise-grade platform.